Our approach is strengths-based, because knowing and understanding your strengths keeps you motivated, engaged, empowered, and highly functioning. 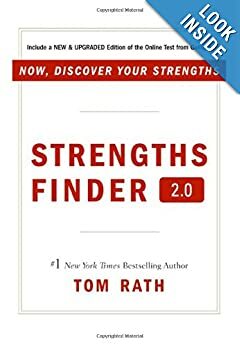 One of the most helpful online assessment tools we use for this process is the Gallup-backed Strengthsfinder 2.0 by Tom Rath, with its 34 different themes based on more than 40 years of research and taken by over 4 million people. You get a personalized, detailed report, which we then use to help you develop a practical action plan to set and achieve goals. Organizationally it also helps engage, maximize and channel talent more effectively, including within teams, so that everyone thrives.